Haven’t created a layered card in forever! 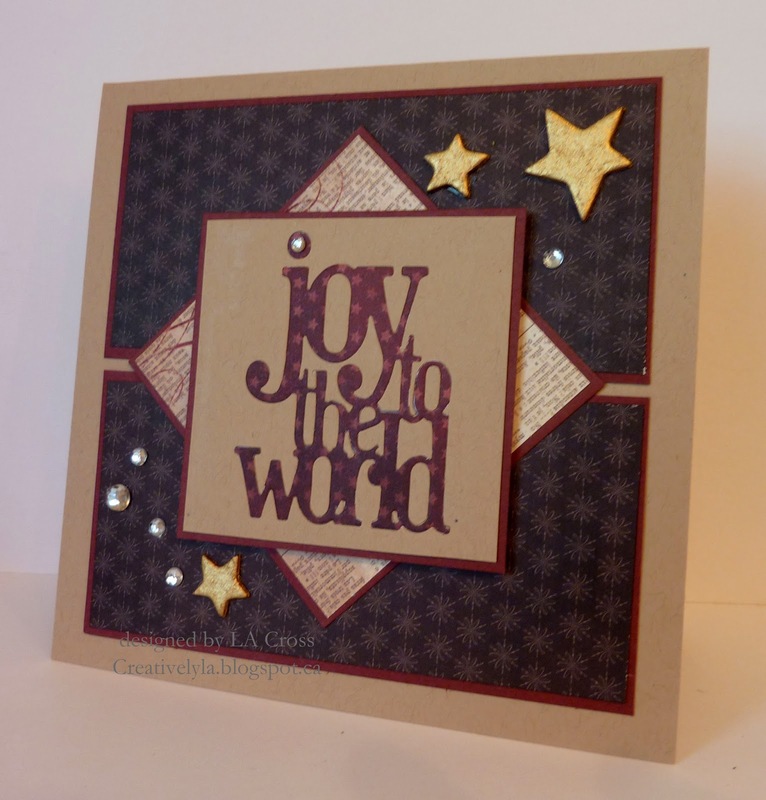 Used the Sketch Challenge from Splitcoast Stampers today and a technique from the Online Card Class Holiday Workshop 2013. This card starts out with a square 5.5″ x 5.5″ card base in kraft card stock. Next comes some designer paper that’s been matted on some burgundy card stock, followed by a square of a coordinating paper, also matted with burgundy. The sentiment has been cut twice, once in kraft and once in designer paper. I’ve used the Tim Holtz Stacked Words Christmas Sizzix die for this. Then I placed tape on the back of the kraft square and carefully embedded the designer paper layer into this. Had to have some bling right? So I painted some chipboard stars with a Krylon gold leaf pen and also used a few scattered rhinestones. Ohhh that inlaid panel is beautiful! Joy says it all! Love the random bling and those stars! Beautifully done!